CALL US AT (651) 653-0190 to get $600 off your new gas fireplace insert! 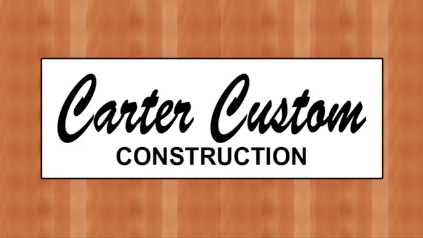 Enhance the look, comfort, and enjoyment of your home with Carter Custom Construction. We’re Twin Cities, Minnesota deck builders, fireplace dealers, custom cabinet and stair building carpenters, and remodeling contractors. We take great pride in transforming your home into a more comfortable, attractive, and safe space to make the “home of your dreams” a reality. Whether you're looking to upgrade with a new wood or gas fireplace or insert, a fresh deck or screen porch to entertain outdoors, or remodel your bathroom or kitchen, Carter Custom Construction has 20 years of experience making your home uniquely your own! ​​Why limit the use of your deck to mere grilling and the occasional dinner? With a custom deck or porch built to your preferences, we can transform your deck or porch into an extension of your living space for maximum enjoyment. Let’s look at the range of options that suit your home best - from wood decks, composite and PVC, aluminum, concrete, even 3 and 4 season porches with screened-in option - and then customize it with a beautifully crafted look that’s your own, with exquisitely designed custom stairs and railing, creative deck lighting, impressive spiral staircases, space-saving underdecking, and all types of extras that might just make your deck or porch your favorite part of your home. ​​From cozy gas inserts (starting at $2900 installed) to majestic wood burning fireplaces, we can build or convert a wide variety of fireplaces and stoves to bring the delight of a crackling fire and the toasty warmth that only a fireplace or stove can bring to the enjoyment of your home. We’ll help you choose the best fireplace or stove option for your home - whether it’s a new wood or gas fireplace, insert, or stove. Let’s talk about the look you want - from beautifully crafted stone fireplaces to a range of other unique materials. We also build outdoor fireplaces, garage heaters, custom mantels and surrounds, and custom cabinetry, as well as perform conversions and all types of service and repair. ​​Spruce up your kitchen, bathroom, or basement with a fresh look with more efficient use and enjoyment, or even add on a garage for more space or install high quality exterior siding to protect your home from the Minnesota elements. Carter Custom Construction has an expert eye for attractive design as well as a knack for precision building craftsmanship. Let’s discuss your vision, the utility and application, and let’s build or remodel your space in a way that looks fantastic and fits your budget as well. ​​Protect your home from the often-harsh Minnesota weather with premium exterior siding installation. Available in a variety of colors and textures to tastefully match your home, Carter Custom Construction offers vinyl siding installation in the Minneapolis, St. Paul, and Twin Cities MN area. Our experienced installers will meet with you to explore your options, and then get to work to start protecting your home with the finest quality siding on the market today. enhance your indoor or outdoor space for maximum enjoyment on your home improvement!